A serious but rare accident happened in Tirana. 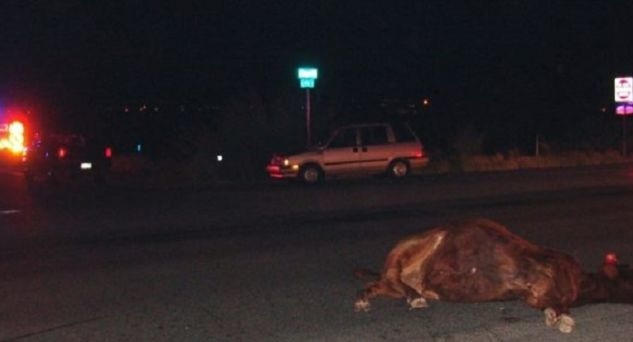 7 cars are involved in this accident, and the reason is a cow entering on the highway. The accident happened near Kashar village of Tirana-Durrës highway and fortunately no one is hurt, but only material damage to the vehicles. It was learned that 3 vehicles traveling toward Vora and 4 vehicles toward Tirana were clashed with each other, blocking the traffic.